Do you know that just 5% of fleas live as adults on pets? The other 95% of flea population lives in the home. Adult fleas lay their eggs on the cat within a few days of their first blood meal. These eggs are non-sticky and will drop off onto surrounding carpets and bedding waiting to hatch. From here, the eggs will hatch to produce larvae that feed on flea faeces and organic matter found in the environment. The larvae dislike light and will tend to live deep in the carpets and in soil. An adult flea will lay up to 50 eggs per day, about 2,000 in her lifetime. The adults come out of their cocoons when they detect a host is nearby. Once they hop onto a host, the adults mate and begin the life-cycle all over again. The newly emerged flea may bite humans before jumping off to find a more suitable host. The entire life cycle can be as short as three to four weeks. Fleas are not simply a source of annoyance. Some people and animals suffer allergic reactions to flea saliva resulting in rashes and/or impotence. Fleas can also act as a vector for disease (viral, bacterial and parasites) to humans and animals. An animal can die from a serious infestation of fleas if it is not treated. Fleas are an all year problem. They love our central heating as much as the hot summer weather. Preventing an infestation is much easier and much more effective than trying to treat one that already exists. Ridding your home of an existing infestation can be timeless (months, regardless of the flea product you use), labour and expensive process. Don’t assume that because your animal doesn’t go outdoors he is safe from fleas. Indoor cats can and do get fleas just as easily. Fleas can hitchhike on your clothing and come inside with you. They can come in with other pets that do go outdoors. They can also find their way inside through very small openings. Prevention and treatment of pets is essential. 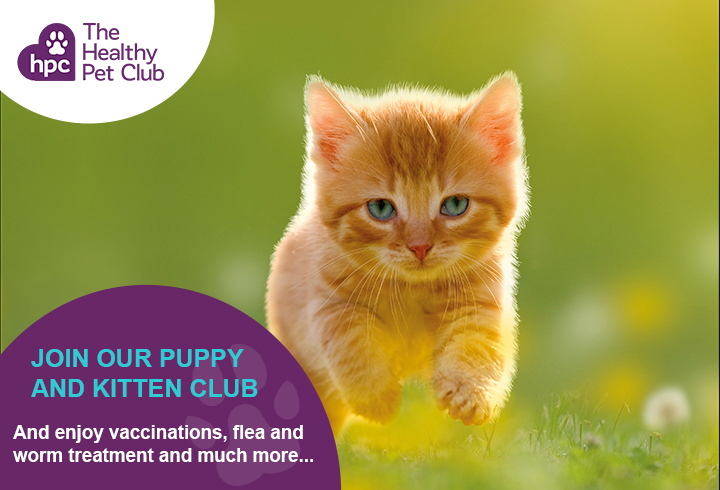 Your Healthy Pet Club membership includes a year’s worth of flea control treatment to help prevent flea-related health problems for your pet and for you. Coopers Vets is part of CVS (UK) Limited, a company which owns over 490 veterinary practices within the UK. Company Registration Number 03777473 – Registered Office: CVS House, Owen Road, Diss, Norfolk IP22 4ER.